Well today was a special and unique day. Not too many photos to share but one of the more beautiful days this month for me. This morning I did my full breakfast (part of this low carb challenge is figuring out what works for my blood sugar levels – it’s different for everyone. So far a higher carb breakfast, mid morning snack, and lunch and then a carb-lean dinner and carb-free bedtime snack is doing the trick!) This means I have to take the time and really sit down to a full breakfast. Then take my walk. It’s hard, but paying off. Then my friend picked me up for a mini road trip to see a friend who was home from the east coast for a visit. What a beautiful day. I feel like the Lord ordained it and used it to bless me more then we could ever bless her. She is a wise, mature, and Christ-following woman who I have so much to learn from. She has grown so much in the hardest year of her life as she has faced unspeakable tragedy and there I sat in awe. She is a new person, in the best kind of way. And amidst all my learning this month, and through reading the books “7” by Jen Hatmaker and “Anything” by Jennie Allen the Lord just used my friends to confirm what he has begun in my heart. It was a BIG day. We had lunch and visited for hours. A true treasure. Home I came to my beautiful boys, who had a fun-filled day, and husband, who had a work-packed but rewarding day. I find myself feeling overwhelmed with what we have. Ending a month of no spending but I feel like we have so much more then we started the month with. And boy did this man sacrifice right along with me. Tomorrow is his birthday and it falls right at the end of the zero spending challenge. Kind of ironic. A favorite example of his sacrifice is when he was helping my cousin move and it came time to get lunch and the other cousin who was also helping hit the drive through at Sonic with Ben in the passenger seat. He didn’t order lunch! He’d worked all day, was hungry, and that is his favorite spot and he had the self-control to say no. A bigger man then me. 😉 I am so grateful for his commitment to this challenge and in the end we have found ourselves totally on the same page, a united front, and forever changed by this experience. We have just one day left and it will be full of free excitement and joy as we celebrate his birthday and also watch our kids enjoy celebrating Halloween! Then as we enter November we will be free to spend but remained resolved in some areas of new habits. We plan to talk about those areas and continue to closely evaluate our spending. We want to make decisions that are based in our values. 3. laundry detergent – need to do our laundry as we pack and I have a load or two to do with no soap. 1. Less eating out – no drive thru’s and less eating out on weeknights. Eating out should be a luxury and a treat, a special occasion not just a “go-to” option. 2. Budgeting and using what we have on hand. 3. Enjoying our current memberships and free activities. 4. Soon we will have a new neighborhood to explore too! What I did not spend on…1. My friend who drove graciously covered gas and treated me to a carb friendly coffee drink. What a treat! 2. I ate breakfast at home, took my walk and pack my snacks and some food options so I knew I’d have things that were carb friendly and could keep on track with my eating. 3. Cashel is 1 week away from the end of his messing painting class and this week my Mom took him. He loved it! And they used our membership to the kids museum to fill a day with fun, and bless me by watching the boys so I could have this beautiful visit with two dear friends. 4. Ben resisted coffee out, even though we are out of the k-cups. 1. This is a recurring tip. But SHARE what you are learning. If you decide to try this challenge the reflection and sharing with others is what will make ALL the difference. 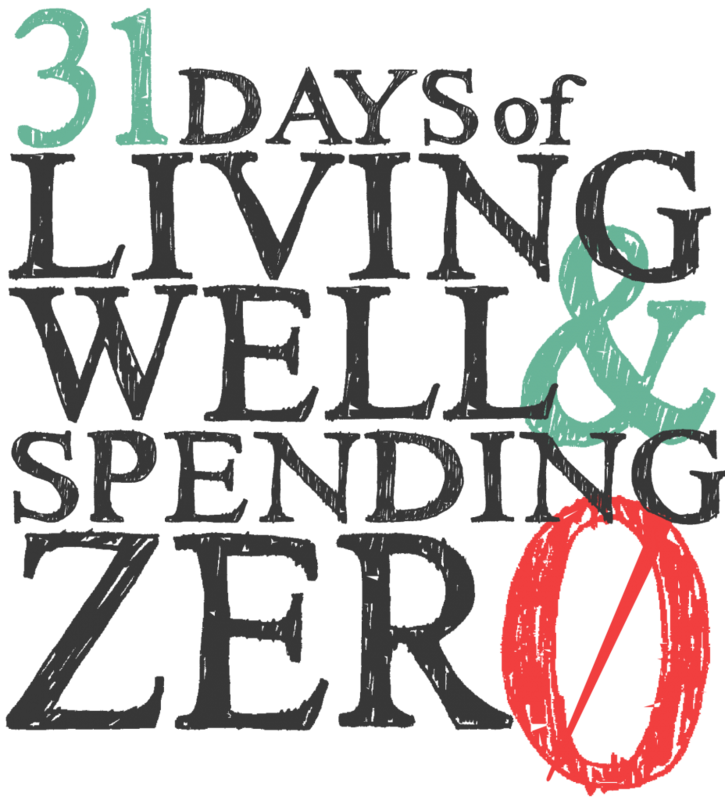 For me that is also going a step further as I am going to walk with a group of women in the new year who are going to do the zero spend challenge then. 2. There is more to this then spending, money, savings, and even more then self-discipline… but you have to look. You have to examine your heart and mind. It takes work, the hardest but best kind. Pretty amazing Alex! And I loved Ben's comments at the end !